Just Who Actually WAS Entombed in the Great Pyramid? Many people have been to see the Great Pyramid of Giza in Egypt. This massive structure is actually the only remaining example of the Seven Wonders of the World. They know that it is where an Egyptian Pharaoh was buried. But who was it? And why did he want to be buried in such a large and elaborate tomb? The man at the heart of the pyramid is the Pharaoh Khufu who reigned in Egypt from 2589BCE to 2566BCE. 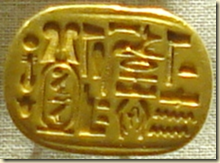 Khufu was the second Pharaoh of the fourth dynasty, which lasted from 2613 to 2494BCE. The Greeks knew him as Cheops. He was not the first pharaoh to be buried in a pyramid. 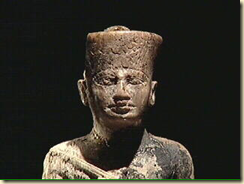 That was his father, the Pharaoh Sneferu. Prior to Sneferu’s reign and death, the pharaohs were buried in rectangular burial structures called mastabas. But Sneferu wanted something larger and grander than his predecessors. He actually had three pyramids constructed in Dahshur. Each of the pyramids allowed architects and builders to perfect this building method and it was these earlier attempts that allowed the Great Pyramid to have such a perfect design. But although those earlier pyramids were stunning, it is Khufu’s Great Pyramid that gained a lot of attention. The man who ordered it to be built was not known for being a gentle or reasonable ruler. 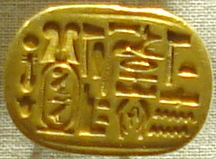 The historian Herodotus claimed that the country was miserable under Khufu’s reign. He was said to have closed down temples and forbade the offering of sacrifices. This is something that many Egyptians would have had a serious problem with. It was also believed that Khufu used forced labor to build the pyramid and that he even sent one of his daughters to a brothel. The claim was that she was supposed to help raise money for the pyramid’s construction. Another text also outlines Khufu’s cruel actions and attitudes. A document known as the Papyrus Westcar was penned in the period known as the Hyksos period that took place before the 18th Dynasty. In it, it reports that Khufu arranged to have a prisoner killed jus so that he could test the claims that a magician named Djedi could bring people back to life. The prisoner’s life was spared on the request of the magician. 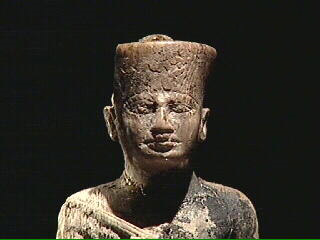 Khufu had multiple wives and many children. He had nine sons and five daughters. He was known to have at least two wives that were buried in smaller pyramids that were attached to the Great Pyramid. The third of the three smaller pyramids is believed to have housed the remains of Khufu’s mother, Hetepheres I. It was believed that Khufu reigned for anywhere from 50 to 63 years depending on the histories that you consult. Whether or not he was remembered as a cruel and unusual ruler the fact remains that his funerary cult was still in existence until Egypt’s 26th dynasty (672 to 525BCE) and that his funeral mound remains as one of the enduring symbols of the ancient world. People from all around the world have come to gaze on this massive tomb that stands as a lasting testament to this ancient ruler.